It’s the season for transitions and we’re stepping the game up as far as creating a sustainable local supply chain for local cottage sectors globally. What sets us apart is the process we take our collective through. Tapping into our combined experience and expertise in; -Tradition Fashion, Creative Cottage, Bespoke/Custom tailoring and emerging tech. 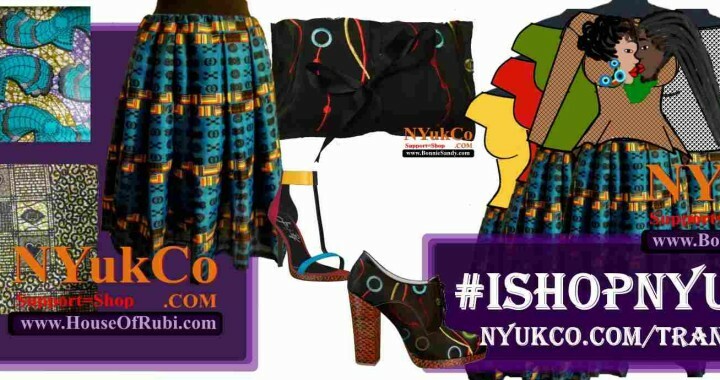 The following is a report published simultaneously on Brooklyn Fashion Week, Nyukco and our project leads Personal blog… Between Now and September 1oth 2015 this report in itself will evolve..
NYukCo – Many have been adapted NYukCo as components of NYukCo. B​A unique conference that evolved into a bootcamp. This years conference will be virtual and feed of last years events. (sign up to our newsletter for more info). We resume NYukCo in early September in the meantime we’re in transition seasonally. We’ll soon be moving from from summer to to fall/holiday. as well as structurally from Alpha 1 and 2 of our pre startup phase to Alpha3. We ​understand we ​ do not sell images​,​ we sell apparel. Within ​the local fashion sector man​y cater to several​ price points and clothing categories but “Fashion” usually refers to what’s popular with stylish fashion forward consumers. The business of fashion is successfully executed when we can provide what the consumer needs or desires and what the designer​s​seeks to offer. The former means effective consumer profiling, interaction and development. ​The latter ​means addressing issues in the local fashion sector. We’ve worked hard in the last year testing various concepts and we are currently making the transition from testing theories to formatting procedures that works. We’ve learned that a “Whol-istic and organic” approach is needed, and that a lean approach makes that paucible and “executable”. Solutions were inspired by need, fostered through “testing” but become effective with practice, adjustment and repetition – lather, rinse – repeat. developing solutions take time. ​- Each component was developed as need arose. ​While we’ve laid out a general outline. it should be noted that each addresses specific challenges and their solution. The full scope is reserved for participants. What sets us apart is the process we take our collective through. Tapping into our combines experience and expertise in Tradition Fashion, Creative cottage, bespoke/custom tailoring and emerging tech. Alpha 3 we will focus on streamlining the processes. Bridge is a component through which we seek to integrate local creative cottage into NY vibrant tech and business circuit. We serve a sector that does not have access to ​traditional funding, nor press. As such the ability to speak – communicate will be our next focus. Posted in Building Black Businesses 360, Creative Cottage sector, Musings.